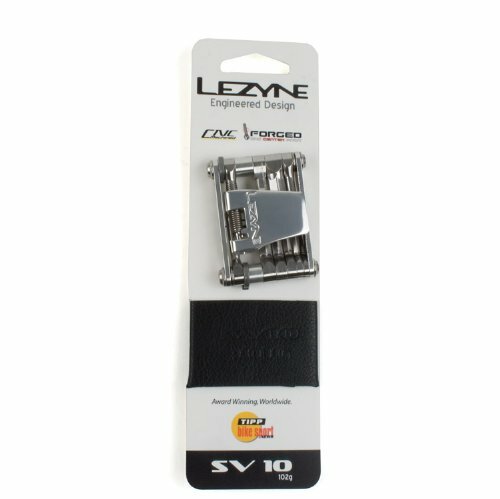 Lezyne SV-10 Bicycle Multi Tool - 1-MT-SV-10T06 by Lezyne at Idaho Velo Park. MPN: 1-MT-SV-10T06. Hurry! Limited time offer. Offer valid only while supplies last. Aluminum Side PlatesLight-weight and strong 7075 aluminum. Stainless DurabilityForged stainless steel bits for improved durability & functionality. Aluminum Side PlatesLight-weight and strong 7075 aluminum. Stainless DurabilityForged stainless steel bits for improved durability & functionality. Center-Pivot Bit DesignPrecision CNC-cut center-pivot increases bit rigidity & improves tool ergonomics. Aluminum BreakerForged aluminum chain breaker for 9/10 speed chains.